The Turnbull government has flagged personal income tax cuts as part of this year’s budget. Back in November, Prime Minister Malcolm Turnbull had declared as part of his pre-election speech that any tax cuts would be aimed at the low and middle classes. Now, with the budget submission released in late February, Turnbull seems to be following through on that promise. The budget proclaims that the government’s intention is to provide personal income tax cuts in 2018, particularly for households that fall into the lower and middle-income ranges. This will be the first budget to include personal income tax cuts in over a decade, since May 2007. Due to inflation over the years, many Australians have found themselves creeping into a higher tax bracket, causing them to actually end up with a reduction in take-home pay. The government has now realised that with the current economic state of slow wage growth combined with rising costs of living, tax cuts are the simplest plan of immediate action to improve families’ take-home incomes. Reports showing that household cost increases have outpaced earnings for the fifth quarter in a row has helped underscore the need to provide some type of relief to Australian families as soon as possible. The Australian economy has grown by roughly 2.8% over the last year, but average employee compensation did not keep pace. Reports show it has only increased by 0.9% over the year; which is only half of the current inflation rate. This effectively means that despite the growth in overall economy, Australians are poorer this year than they were last year. Tanya Plibersek, the deputy Labor leader, has claimed this is the worst decline in living standards since the 1990s. Prime Minister Malcolm Turnbull has clearly acknowledged this truth, and reflected it in the proposed budget. While still focused on maintaining fiscal responsibility and achieving a surplus by 2021, the budget also reflects the recognised need to provide tax relief for lower and middle-income families, starting this year. Interestingly, this budget is being backed by the Australian Industry Group, a prominent business group. They’re backing the individual tax cuts, and continuing to urge the government to stick to their corporate tax break promise. Malcolm had positioned that the government will cut the company tax rate down from 30% to 25% over the next ten years, in order to set Australia up for a sustainable future of prosperity. Mr. Wilcox, the Chief Executive of the company, hopes that these cuts will help drive growth in jobs and investments in business. The company is also pushing to maintain the current migration intake level of 190,000 people, in direct opposition to the former Prime Minister’s call to cut it. The Australian Industry Group is focused on supporting economic growth, and backing the government on moves that will help achieve this end. They are promoting skills development to be a priority, particularly with regards to workplace innovation, management development, and digital skills. 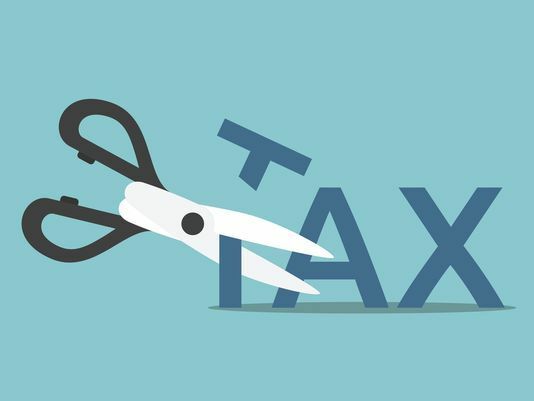 If you have any questions about the upcoming tax reductions, the business-backed support for growing the economy, or anything else in this article that may impact your own financial situation, contact one of our experts today.